Fine work and especially plaited metal is Philippe Ravenel’s specialty. Photo: Elka Wood. When Philippe Ravenel was fourteen and growing up in the Swiss village of Trelex, he went to Southern France and saw a blacksmith plaiting metal. “I saw his work and thought: ‘that’s what I want to do,” Ravenel says during an open forge at his Cobargo property known as Galba Forge. 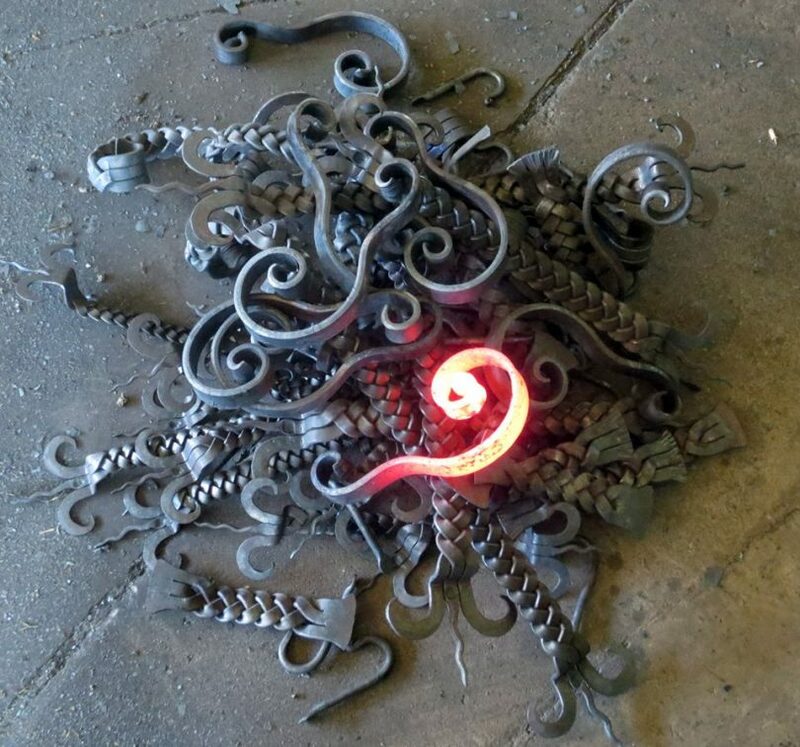 After completing four years at a trade school in Switzerland, Ravenel persisted with the French blacksmith, asking him, again and again, to show him metal plaiting. “You must let the hammer do the work” – Philippe Ravenel. Photo: Elka Wood. 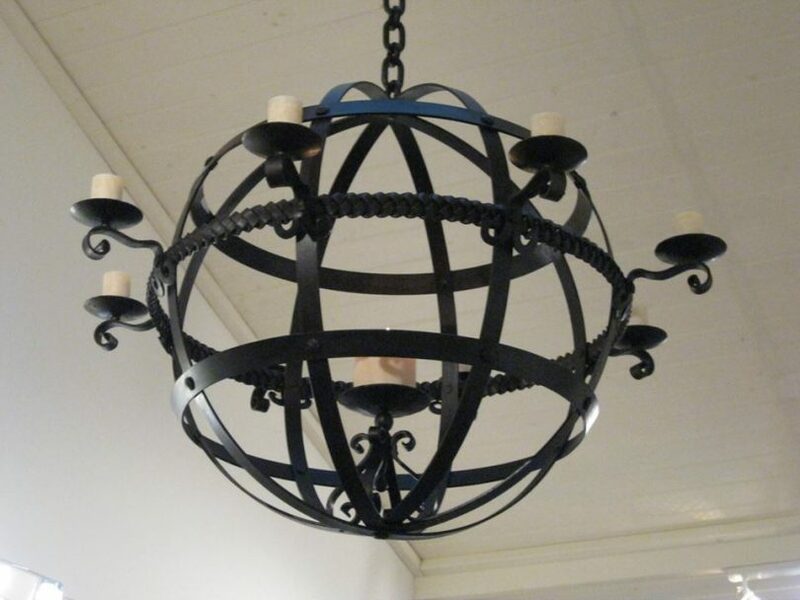 Fine work and especially plaited metal is now Ravenel’s specialty and is used in the lamp mounts, fire pits, wood racks and fire pokers on display in his workshop. 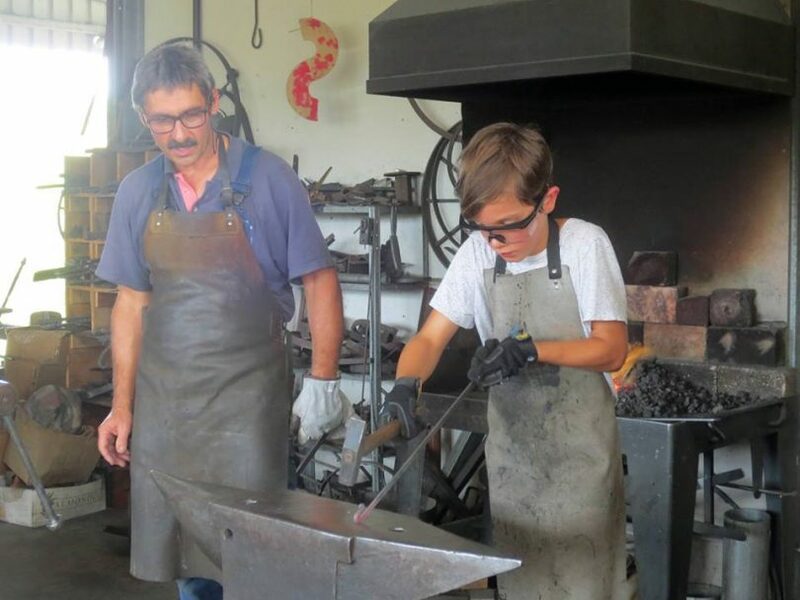 Pursuing a career in the old trade of blacksmithing is just as unusual in Switzerland as it is here in Australia, where Ravenel has made his home since 2004. Although he attended a trade school [similar to a TAFE in Australia, Ravenel says, but industry-run] and learned a modern amalgamation of locksmithing/metal fabrication and boiler making, Ravenel has self-taught many of the skills he now practices. When Philippe Ravenel was fourteen and growing up in the Swiss village of Trelex, he went to Southern France and saw a blacksmith plaiting metal. Photo: Galba Forge Facebook. Ravenel and his wife Marie Claude traveled in Australia and Asia when they were first married, taking a “two-year honeymoon,” and after a series of shorter trips to Australia they returned to Switzerland and felt that they wanted to “go home” to Australia. In 2004, they moved to the Bega Valley, buying their current home on Wandella-Yowrie road, about 10 km out of Cobargo, in 2006. “Europe was changing so much, it was so busy,” Marie Claude says. “Too many people in Switzerland,” agrees Ravenel. 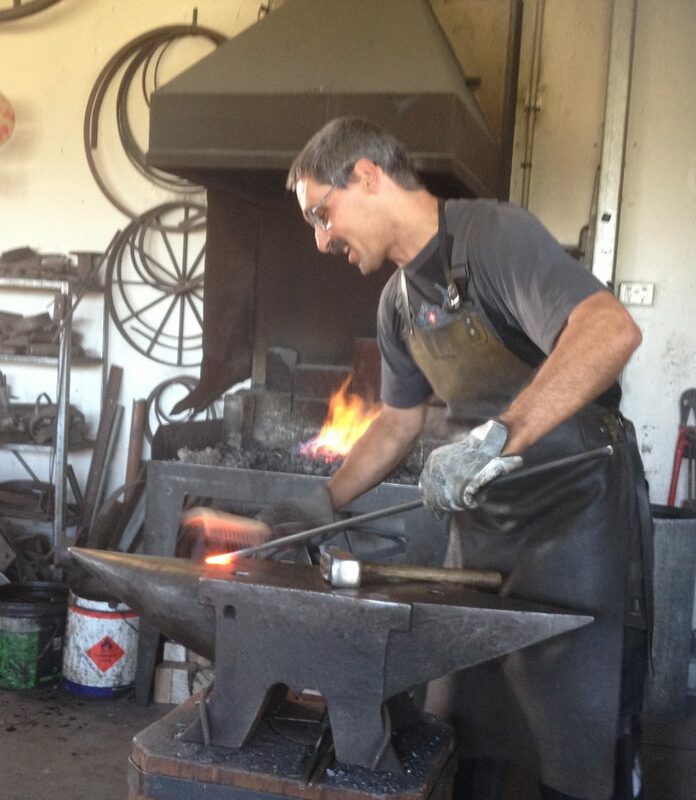 Philippe Ravenel allows people to ‘have a go’ during his monthly open forge events. Photo: Galba Forge Facebook. One thing was certain – Ravenel would continue his blacksmith work, whether in Switzerland or Australia. As he demonstrates a forge weld to a couple visiting from Kiama, Ravenel’s blacksmith’s hammer dances on the anvil as he utilizes momentum to minimize the effort of lifting the hammer and bringing it down. For every blow which lands on the metal he is forging, many more bounce off the anvil, creating a tapping tune. The anvil Ravenel is working on dates from 1910 and was in the house Ravenel grew up in, a former Swiss blacksmith’s house, along with a huge vice which likely dates from the same period. Moving quickly and wearing a leather apron and thick gloves, Ravenel turns his back to the crowd to protect them from flying sparks when he hammers the gleaming hot metal. Forming the point of a fire poker, Ravenel uses the round end of his anvil. In order to make a twist in the same poker, Ravenel must heat the rod and pound it square. “There is a twist within the twist,” he says, noting that many people don’t know that a twist would not show in a round rod. The hot rod bends as he twists it, gripped in the vice, and he uses a soft lead hammer to straighten it up without leaving marks on the metal. 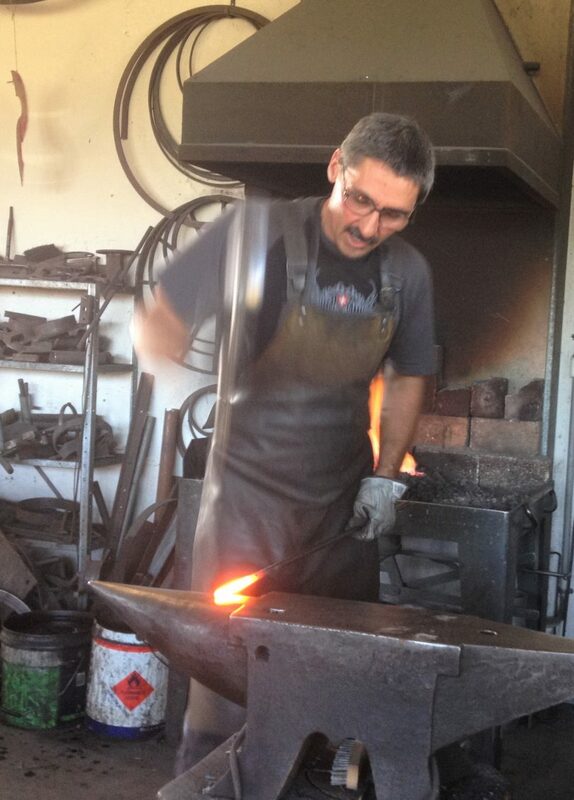 Ravenel’s forge is also Swiss, and came from the workshop of his former business partner, who retired. “I had to move my workshop anyway, so why not to Australia?” Ravenel asks with a laugh. The anvil Ravenel is working on dates from 1910 and was in the house Ravenel grew up in. Photo: Galba Forge Facebook. The forge burns coke, which is coal with some impurities burnt out and which Ravenel bought “truckloads” of from a Coalcliff coke works, near Wollongong, before it closed about five years ago. The heat from that Coalcliff coke allows Ravenel to work most metal at between 900-1200 degrees. Ravenel relies only on his senses and experience to know when to spring into action and pulls the steel rod he is working out of the fire frequently to check the colour. A chart in his workshop shows the colours and associated temperatures of hot metal, ranging from black to yellow – steel is black even at 300 degrees, so Ravenel tentatively touches anything that has been in the forge. “In blacksmithing terms, this is cold, but of course, it can burn you,” he explains. Ravenel can turn his craft to make a range of practical and sculptural pieces. Photo: Galba Forge Facebook. But while Ravenel wants to keep alive, and share, the traditional trade of blacksmithing, holding regular open forge events for the last six years, he is not averse to using the industrial scale welder in his workshop. 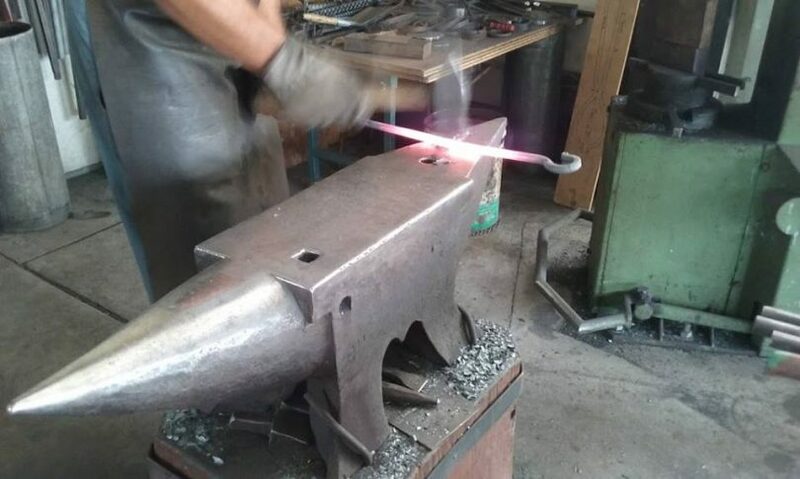 “There is nothing wrong with using technology,” he says, although he was compelled to teach himself forge welding [which uses heat and force to join two pieces of metal] after arriving in Australia because so many people asked him about it. “An old blacksmith would have done it [forge welding] with his eyes shut because he had no option,” Ravenel says. “My grandfather used to say: ‘if you have to die, you might as well die in the evening because you can still learn something in the morning, ” Ravenel says with a smile, moving back to the forge to check his fire, as is second nature to this blacksmith. The next open forge event at Philippe Ravenel’s Galba Forge at Cobargo is December 9, entry is free between 1 pm and 5 pm. What a wonderful. well written article. Thank you Elka! Good on him...he is an asset to the community as he brings tourists....does he or is he going to have an apprentice. Safety glasses & earmuffs should be worn for those observing & to prevent accidents & possible insurance problems. Decorative blacksmithing is an intricate & beautiful craft.....he might also learn to make knives using old circular saw blades.